A noted Indian fighter and early Texas Ranger, John Coffee Hays was a man of less than average size. He was exceptionally wiry, however, and had almost supernatural powers of endurance in the rugged west Texas terrain. Born in Tennessee, Hays spent some time in Mississippi before arriving in Texas around the beginning of 1838. He was employed as a surveyor by the Republic of Texas. By 1840, while still in his early twenties, he raised a company of Texas rangers and was well on his way to building his reputation as an Indian fighter. He participated in the Battle of Plum Creek, as well as in engagements with the Comanche at Enchanted Rock in the fall of 1841 and at Bandera Pass in 1842. In the Mexican American War, Hays commanded the 1st Regiment of Texas Mounted Volunteers, and fought with distinction at the Battles of Monterrey and Mexico City. Soon after the war, he served on a commission to resolve a controversy between Texas and the United States over New Mexico territory. Determined to cash in on the gold rush of 1849, Hays led a wagon train to California. After serving four years as sheriff of San Francisco County, President Franklin Pierce appointed him surveyor general of California in 1853. In this role, he laid out the city of Oakland. In California, Hays acquired a considerable fortune and became politically prominent. He was a delegate to the National Democratic Convention in 1876. 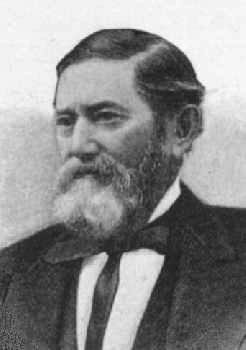 Hays made frequent trips back to Texas, but died near Piedmont, California on April 25, 1883. Hays County in South Central Texas, was created in 1848 and named in his honor.